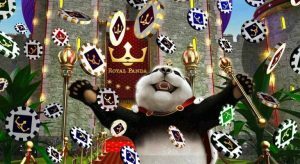 Royal Panda Casino offers generous bonus deals to its new customers. First timers on Royal Panda enjoy a 100% initial bonus on their first deposit of €100 or less. This basically means that you have an additional €100 at your gaming disposal. You choose which slots or games you want – Royal Panda pays for the fun! For the returning customer, there are additional rewards to gain. Every new customer signing up at the website is automatically enrolled in the bonus program Loyal Panda (pun intended). You earn points every time you play, regardless of what type of game, and you can eventually climb the bonus ladder, which is divided into bronze, silver, gold and diamond levels. Each level has its own additional advantages. Royal Panda has done well in designing and developing the gaming site for demanding players, as well as for new beginners. Anyone can find something of interest at Royal Panda. The design is user friendly and well organized, making it easy to find what you’re looking for, as well as discovering new things. The logo is properly designed as a hybrid between a crown and a panda, in black and white, building on Royal Panda’s elegant and modern image. As people today are constantly on the move, online casinos have adjusted their services in an attempt to match the busy lifestyle many of them are living. Why not relax and disconnect with some casino fun while waiting for the bus or during that boring TV commercial? Royal Panda’s mobile page supports all the common smart phone platforms, such as Android, iOS and Windows. There is no app needed, which could be both an advantage and a disadvantage at the same time. No app means playing is more accessible, and you can just open the browser and start playing. On the other hand, some players prefer the organized setup an app provides, keeping all your games and data in one place. Who knows, maybe an app will be out some time in the future? As far as the gambling is concerned, the mobile version is well developed, and the page is easy to navigate. The supply of mobile games is significant, with hundreds of titles to choose from. With the exception of some jackpot and live casino games, all mobile games at Royal Panda are available in the free-play mode, which means you can comfortably get to know the game and its functions before you make any deposits and start the real gambling. Royal Panda’s customer service team can be reached by phone, e-mail or live chat. The customer support is unfortunately not open 24/7, but will be there to help you between 09.00 am and 00.30 am (GMT +1), Monday through Sunday. If you have an urgent question, the live chat is recommended, as it requires less effort both from your side, as well as from the customer support team. If you’re getting in touch outside of business hours, a customer representative will get back to you as soon as he or she is available. Response time at Royal Panda is fairly good, compared to other online casinos. If you happen to have one of those more common questions, chances are high that someone already asked the exact same thing. Many players have the same questions regarding stuff like payout time, bonuses and rewards, mobile platforms, and so on, so a good idea is to check out the FAQs section on the customer service page. But remember: if you don’t find the answers you’re looking for, do not hesitate to get in touch with the support team – they’re there to help you!